A some-what worried look was worn by the video-grapher, throughout the next few hours, due to minutes going faster than they should. I mean, given the past delays, how do you rush over 60 some miles in less than an hour, from Bawlmore of all places? The Catoctin Aqueduct site is where the C&O Canal and B&O Railroad, two arch rivals, first competed to concurrently cross a major tributary of the Potomac River– Catoctin Creek. 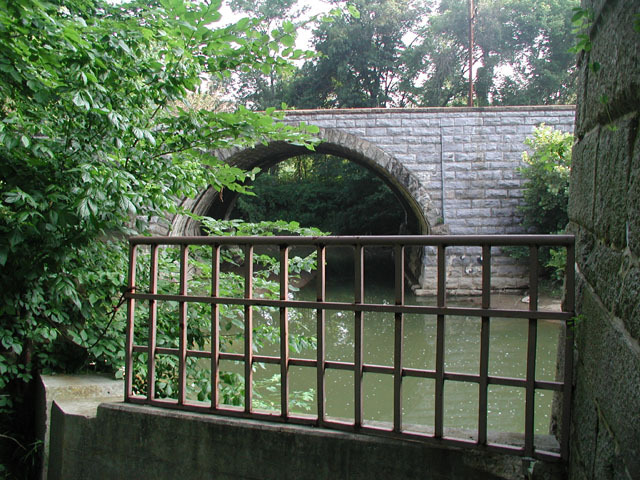 It’s one of 11 stone aqueducts on the 184-mile long C&O canal. And for Senator Barbara Mikulski, to not only stop there but to help endorse The American Recovery and Reinvestment Act, which restores the C&O Canal and opens up job opportunities during this torrid recession, speaks volumes. I wish I was able to see this piece of the 19th Century, with its cut stones, sturdy iron rails and three stone arches. But we were trying to figure if we were suppose to travel East or West of I-70, and weren’t sure whether the GPS device was going to make it any longer. Though this is partly about her launch back into the United States Senate, she really does care, I mean, this piece of history was torn down for decades and there hasn’t been a huge spotlight on it from a national standpoint. To her, from what I can infer, every Marylander’s needs count, even those from a Red area like Frederick–matter a whole lot. Right at the end of Sen. Mikulski’s powerful speech, this is what happened between the video-grapher and I, we were 40 miles from where we were suppose to be, stuck at an old-country style gas station, getting half-truth advice over getting to I-70 West. 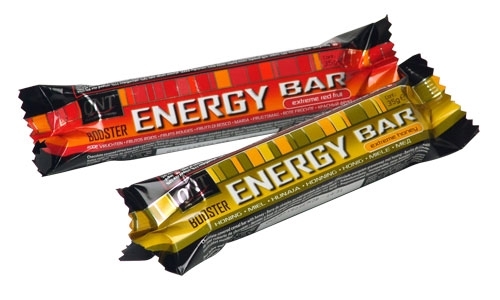 My stomach yearned for this banana flavored energy bar since I was running on 4 hours of sleep. We decided to head 130 miles forward to our next destination, the Rocky Gap Resort in Allegheny County.